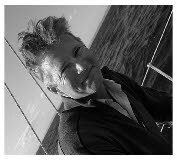 I am a Performance and Life Coach; and Sailing Trainer based in Exeter. Devon. My vision is to offer Coaching, Sail Training and Education services on a personal level; not big and corporate but tailored to the needs of specific people. I’m hoping I can share my passion and experiences to give people the courage to chase their dreams. I provide Performance and Life Coaching for Individuals and Organisations. I believe very strongly that the solutions to all of our questions and problems lies within us. The role of a coach is to help you gain clarity to untangle complex situations; to focus your energy on what’s important to you; and to take action to move from where you are now to where you want to be. I am an RYA Yachtmaster Instructor. I have been teaching navigation and practical courses since 2009. I use my Coaching and Teaching skills to tailor my courses to the needs of the individuals. I can provide bespoke courses to match the timings and situation of the sailors. I have delivered Yachtmaster Ocean Sextant navigation courses in Warsaw; prepared a novice sailor for his round the world trip on his Oyster; and helped a new owner sail his boat from the yard in Sweden to its new home in Turkey. I can provide these either in my own training center or in a venue of your choice. I have worked in training and education since 2003. During this time I have sought out as broad a range of teaching environments and responsibilities as possible. I have experience of working with students with extra learning needs through to gifted and talented groups; I have taught people from 9 years old up to 72; and I have worked in State Secondary Schools; Private Schools; FE Colleges; and alternative education. This background has helped me develop a deep understanding about how people learn, both in school and throughout their lives. I believe that all people have an immense ability to learn and grow. Some are lucky enough to find their learning needs met by the traditional school and training establishments. Many of us, however, find the normal routes difficult, frustrating, and off putting. I work with people to help them improve their learning; either by developing their learning techniques to match their current location, or by identifying more appropriate methods and locations for learning. Have a look at the different sections of my site and get in touch if you think I can help in any way. I am very flexible and am happy to discuss variations in Coaching, Sailing and Education that you think might fit your needs.